2018 Dodge Grand Caravan with only 8174 on the odometer, vehicle highlights include. Certified. 3.6L V6 24V VVT 17/25 City/Highway MPG 6-Speed Automatic CARFAX One-Owner. Clean CARFAX. To Serve Customers for Life! That is the mission of the Schumacher Family of Dealerships. It is the driving force behind the hard work and sincere commitment on the part of our team to provide you with the absolute best automobile shopping experience possible. Value and quality in the products you choose are just the beginning. Service and commitment are long-lasting. For over 45 years Schumacher has been an organization that people know to be of the highest integrity, providing you world class pre-owned products and a sincere focus on your ongoing satisfaction for many years to come. We invite you to come discover why so many have joined the Family of Satisfied Schumacher Customers. 2018 Dodge Grand Caravan with only 5121 on the odometer, vehicle highlights include. Certified. 3.6L V6 24V VVT 17/25 City/Highway MPG 6-Speed Automatic CARFAX One-Owner. Clean CARFAX. To Serve Customers for Life! That is the mission of the Schumacher Family of Dealerships. It is the driving force behind the hard work and sincere commitment on the part of our team to provide you with the absolute best automobile shopping experience possible. Value and quality in the products you choose are just the beginning. Service and commitment are long-lasting. For over 45 years Schumacher has been an organization that people know to be of the highest integrity, providing you world class pre-owned products and a sincere focus on your ongoing satisfaction for many years to come. We invite you to come discover why so many have joined the Family of Satisfied Schumacher Customers. 2019 Dodge Grand Caravan GT White CARFAX One-Owner. Clean CARFAX. FWD 6-Speed Automatic 3.6L 6-Cylinder SMPI DOHC Recent Arrival! Odometer is 2817 miles below market average! Come Join the Family!! 2018 Dodge Charger with only 34023 on the odometer, vehicle highlights include, AWD, black Cloth. Certified. 3.6L V6 24V VVT 18/27 City/Highway MPG 8-Speed Automatic CARFAX One-Owner. Clean CARFAX. Awards: * ALG Residual Value Awards To Serve Customers for Life! That is the mission of the Schumacher Family of Dealerships. It is the driving force behind the hard work and sincere commitment on the part of our team to provide you with the absolute best automobile shopping experience possible. Value and quality in the products you choose are just the beginning. Service and commitment are long-lasting. For over 45 years Schumacher has been an organization that people know to be of the highest integrity, providing you world class pre-owned products and a sincere focus on your ongoing satisfaction for many years to come. We invite you to come discover why so many have joined the Family of Satisfied Schumacher Customers. Go Mango! 2016 Dodge Charger R/T RWD 8-Speed Automatic HEMI 5.7L V8 Multi Displacement VVT black Cloth. 2014 Dodge Durango with only 58782 on the odometer, vehicle highlights include. Certified. HEMI 5.7L V8 Multi Displacement VVT 14/23 City/Highway MPG 8-Speed Automatic Clean CARFAX. To Serve Customers for Life! That is the mission of the Schumacher Family of Dealerships. It is the driving force behind the hard work and sincere commitment on the part of our team to provide you with the absolute best automobile shopping experience possible. Value and quality in the products you choose are just the beginning. Service and commitment are long-lasting. For over 45 years Schumacher has been an organization that people know to be of the highest integrity, providing you world class pre-owned products and a sincere focus on your ongoing satisfaction for many years to come. We invite you to come discover why so many have joined the Family of Satisfied Schumacher Customers. 2018 Dodge Charger with only 37641 on the odometer, vehicle highlights include, black Cloth. Certified. HEMI 5.7L V8 Multi Displacement VVT 16/25 City/Highway MPG 8-Speed Automatic CARFAX One-Owner. Clean CARFAX. To Serve Customers for Life! That is the mission of the Schumacher Family of Dealerships. It is the driving force behind the hard work and sincere commitment on the part of our team to provide you with the absolute best automobile shopping experience possible. Value and quality in the products you choose are just the beginning. Service and commitment are long-lasting. For over 45 years Schumacher has been an organization that people know to be of the highest integrity, providing you world class pre-owned products and a sincere focus on your ongoing satisfaction for many years to come. We invite you to come discover why so many have joined the Family of Satisfied Schumacher Customers. 2018 Dodge Charger with only 33498 on the odometer, vehicle highlights include, black Cloth. Certified. HEMI 5.7L V8 Multi Displacement VVT 16/25 City/Highway MPG 8-Speed Automatic CARFAX One-Owner. Clean CARFAX. To Serve Customers for Life! That is the mission of the Schumacher Family of Dealerships. It is the driving force behind the hard work and sincere commitment on the part of our team to provide you with the absolute best automobile shopping experience possible. Value and quality in the products you choose are just the beginning. Service and commitment are long-lasting. For over 45 years Schumacher has been an organization that people know to be of the highest integrity, providing you world class pre-owned products and a sincere focus on your ongoing satisfaction for many years to come. We invite you to come discover why so many have joined the Family of Satisfied Schumacher Customers. 2017 Dodge Challenger with only 14191 on the odometer, vehicle highlights include, 6 Speakers, AM/FM radio, Black Fuel Filler Door, Black Grille w/Bezel, Blacktop Package, Blacktop R/T Badge, Blacktop Stripe, Challenger Blacktop Grille Badge, HEMI Blacktop Fender Badge, Leather Performance Steering Wheel, ParkView Rear Back-Up Camera, Power driver seat, Quick Order Package 22H R/T, SiriusXM Satellite Radio, Speed-sensing steering, Traction control, Trunklid Spoiler. Certified. HEMI 5.7L V8 VVT 15/23 City/Highway MPG Tremec 6-Speed Manual CARFAX One-Owner. To Serve Customers for Life! That is the mission of the Schumacher Family of Dealerships. It is the driving force behind the hard work and sincere commitment on the part of our team to provide you with the absolute best automobile shopping experience possible. Value and quality in the products you choose are just the beginning. Service and commitment are long-lasting. For over 45 years Schumacher has been an organization that people know to be of the highest integrity, providing you world class pre-owned products and a sincere focus on your ongoing satisfaction for many years to come. 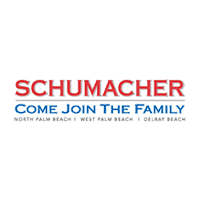 We invite you to come discover why so many have joined the Family of Satisfied Schumacher Customers.